Joy and fun through interactive games and activities, city tour and projects. We bring English to your child’s life in a great summer adventure! During a week time your children will practice and improve their English skills. The courses will cover three levels: beginner, intermediate and advanced. All the activities will be delivered by enthusiastic and experienced teachers from Romania and England. 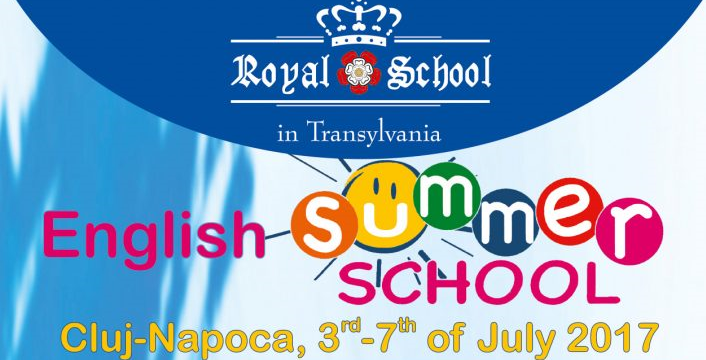 Activities will take place both in Royal School in Transylvania’s facilities (Cluj-Napoca, 44-46 Henri Barbusse St.) and outside the school (visit days). Meals (lunch and two snacks/day), transportation for the visits and a nurse will be also provided by Royal School in Transylvania. A 350 RON booking fee is required to reserve a place for the camp until the 15th of June 2017. For more details inquire with Front Desk or please e-mail your subscription to contact@royalschool.ro. Do you have a 7-14 aged child? Don’t let him miss all the fun! Enrol now!